Rabbit anti Canine, Human, Mouse, Rat EYA3. 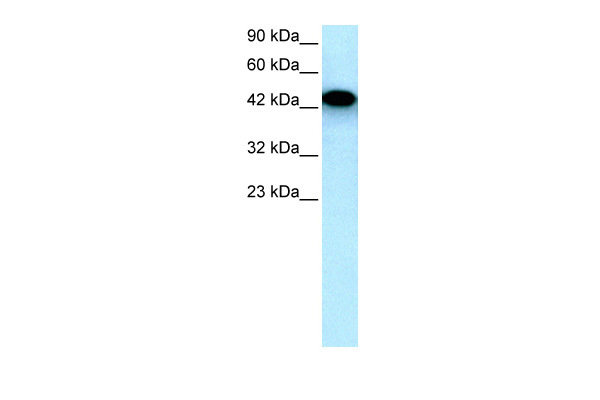 Polyclonal antibody produced in rabbits immunized with a synthetic peptide corresponding to a region of human EYA3 with an internal ID of P03318. Eyes absent homolog 3 (EYA3) is a member of the eyes absent (EYA) family of proteins. 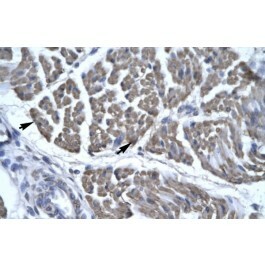 This protein may act as a transcriptional activator and have a role during development. 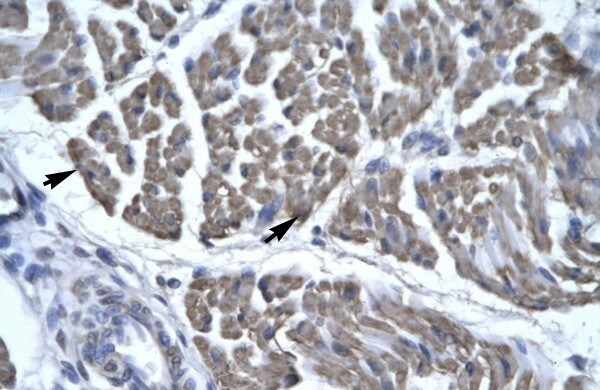 A similar protein in mice can act as a transcriptional activator. Two transcript variants encoding distinct isoforms have been identified for this gene.